The passengers using Jaipur Metro are promised to have full facility of 4G internet connection. This will be India’s first Metro Station which would be receiving 4G internet access. This facility of awesome 4G internet connection will be provided at all the metro stations of Jaipur. For attaining this awesome facility, the commuters have to register themselves and they will receive One Time Password or OTP for the purpose. This internet facility will be available to the passengers for one hour on the daily basis. In order to get the revenue, the Jaipur Metro Railway is in plans to lease out the free spaces that are available at the Metro stations presently. This will help in the advertisement inside the metros. Moreover, some of the retail stores and mobile towers have been also launched in the Metro stations on rent to get the revenue. 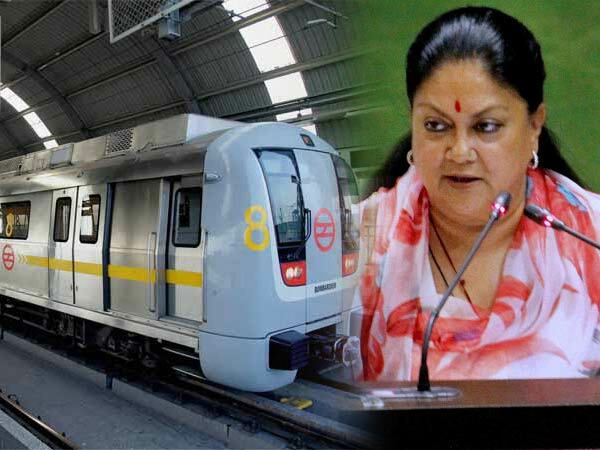 The latest news that is making headlines all over the country is that the authorities have given the permission to Jaipur Metro Trains to run on the automatic mode. This nod has come from the commissioner of railway safety, Sushil Chandra. In the coming month, Jaipur Metro will have this automatic system where no need of drivers will persist. After this system will come into play, there will be a reduction of time between Mansarovar and Chandapole corridor. Operations of trains will have a very high frequency and the safety mechanisms in this realm are also built-in the trains. ATO mode trains will be using communication-based train control or CBTC system that permits the signal exchanges between the trains and the equipment that remain at the trackside. This automatic function will be able to control signals, speed movement, and other important functions. The only manly function that will be required after this automatic system of trains becomes functional will be just pressing the door opening buttons at the metro stations. This will lead to a reduction in human errors also. If there will be an emergency, the OCC or operational control center will take control of the trains functionality on the immediate basis. The ground features in this realm are the monitoring by the CCTV cameras, improved communication system for commuters and direct communication to the Operational Control Centre staff. This will make sure that the security system of the train is tight and the passengers are using the safe mode of transportation.